The Hawker Hurricane was the first of the modern fighter types to begin re-equipping the RAF in the 1930s. As the RAF was undergoing a massive expansion in the mid-thirties, the Hurricane, which performed well during its trials, was soon ordered in large numbers. In June 1936, the first order was placed for 600 aircraft. In November 1938, just after the Munich Crisis, another order was placed for 1000. When war broke out almost 500 Hurricanes had been delivered to Fighter Command and that number had reached 2300 one year later. The Hurricane remained the backbone of the RAF’s fighter force at least until 1942 in Europe, 1943 in the Mediterranean and the Middle East, and 1944 in the Far East, when more modern types were introduced or became more plentiful. It remained in frontline inventory in the Middle and Far East until the very last days of the war. Indeed, while the Hurricane as a pure fighter was easily obsolete by that time, it proved to be a fine fighter-bomber. The Hurricane was involved in most of the first combats against the Luftwaffe over France and then over Britain. The basic model was continually improved and the Mk.II appeared in 1941. Being an impressive aircraft at the end of the thirties, the Hurricane attracted interest from foreign countries and the Dominions. Before the war, and just after the war broke out, the Hurricane was exported including in Canada. This book focuses on the connection between the Hurricane and the Canadians which took various aspects in UK with No. 242 (Canadian) Squadron (up to July 1940), No. 1 Squadron RCAF during the Battle of Britain and after (later No. 401 Squadron) and No. 402 Squadron. The Canadians used also the Hurricane in the Middle East with No. 417 Squadron. 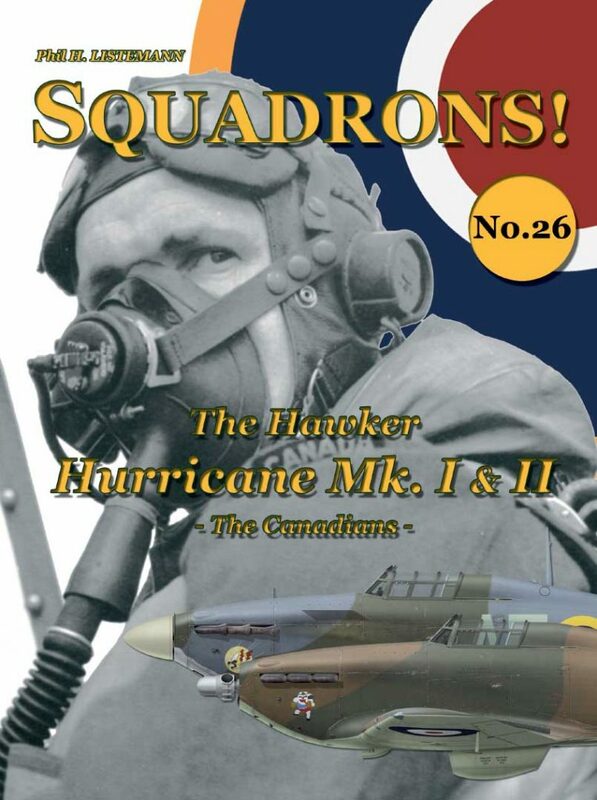 The book relates also the little known usage of the Hurricane with the RCAF in Canada (Hurricane Mk X, XI and XII). Illustrated with close to 60 photos and 10 colour profiles. Available as a paperback version with ISBN 979-1096490-26-4 and as pdf, Epub and Kindle versions as 979-1096490-27-1.